Over the years notebooks have dropped significantly in price and according to recent market data from research firm IDC notebooks are on course to take the lead over desktops by 2011. Notebooks have become more powerful but one of the biggest problems is still the relatively short battery life. Firms like Samsung are working on this problem by developing fuel cells which will give your notebook a battery life of several days/weeks but it will still take a few more years before fuel cells will be commercially available. 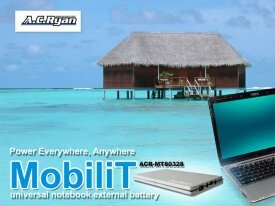 Fortunately AC Ryan has recently released a new multifunctional product which can give your notebook a couple more hours of battery life; the MobiliT universal notebook external battery. As the name says, this is an external battery which is compatible with most notebooks available on the market. Inside the box you can find the battery and a manual with details on how to use the product along with information about which tips you need to use with your notebook. I put the battery on top of the Dell Inspiron 6000 notebook to give you an impression how big/small the battery is. 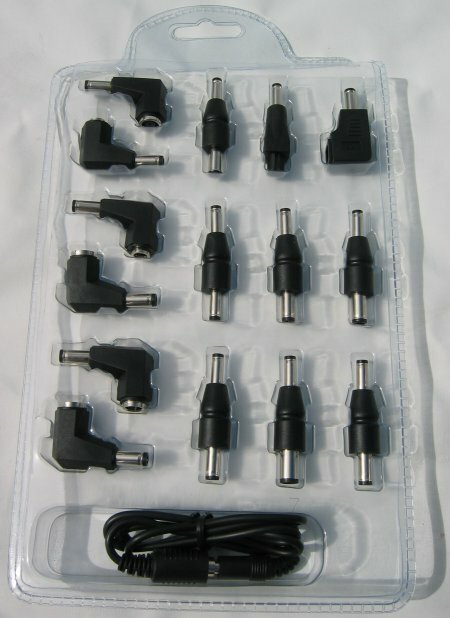 This product is compatible with a wide range of notebooks - it features 8 output tips to power notebooks from many different notebook makers and 7 input connector tips as the battery needs to be charged by your notebook's own power adaptor. 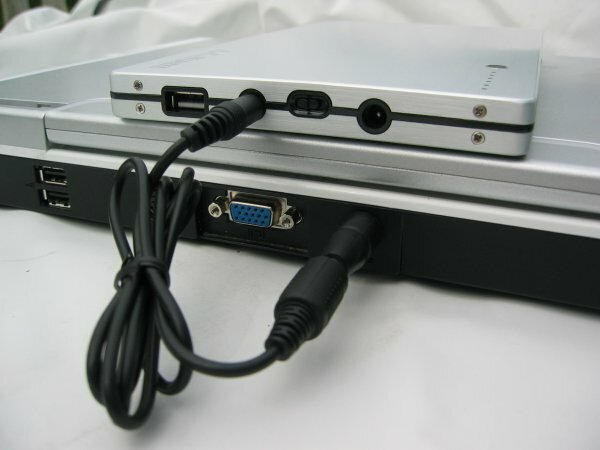 According to this product's features it can power a typical notebook for up to 4-6 hours and a UMPC for up to 10 hours. Sounds great but as we all know you always need to take these battery life figures with a grain of salt. 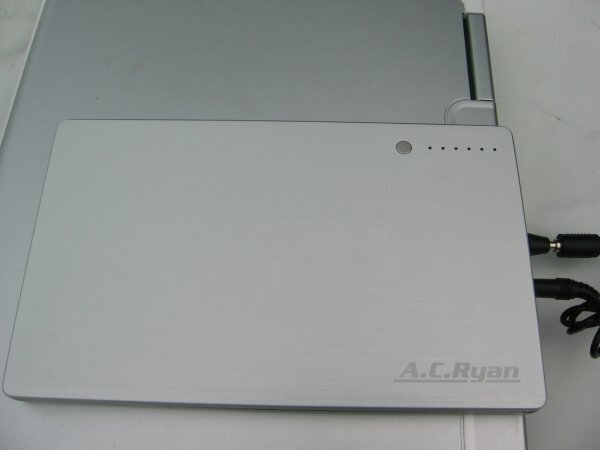 The AC Ryan MobiliT external notebook battery has a brushed aluminum cover and looks pretty sleek. It's only 15mm thick and should fit in your notebook bag without a problem. The bottom of the product features some rubber feet so it won't slip away. The MobiliT external battery features a USB port, discharging port, charging port and a 16V/19V slider. Wondering why the battery features a USB port? It's there to power/charge USB devices. A user informed me the USB port cannot charge all USB rechargeable devices, it depends on the specification and power requirements of the gadget you're using. The iPhone for instance can't be recharged with the MobiliT battery because it requires greater power than what the battery can deliver. Therefore, the USB port should be seen as a bonus and not as the primary reason to get this external battery. 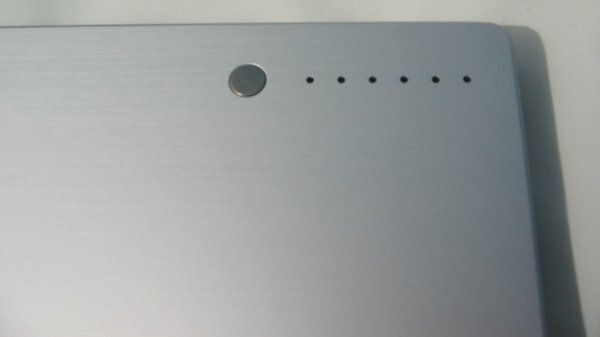 The top of the battery features a button and a battery level indicator. Pressing the button will unveil how much power the battery has left. The first five blue LEDs indicate the battery life, the last red LED is used to indicate if the battery is charging. One LED means the battery hass less than 20% left, two LEDs 20%-40%, three LEDs 40%-60%, four LEDs 60%-80% and five LEDs 80%-100%. When power is low the battery will warn you by blinking the first LED and in case of abnormal use or too high internal temperature the battery will blink the second LED. 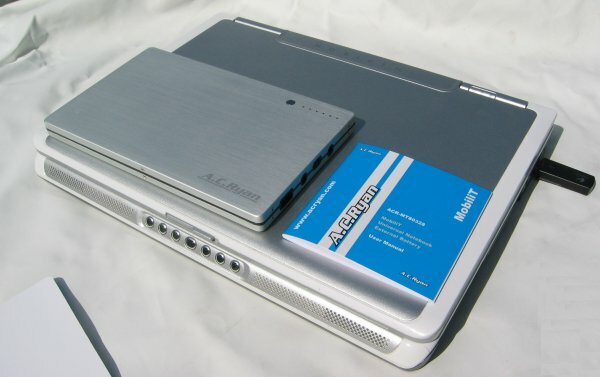 The AC Ryan MobiliT external notebook battery is pretty easy to use. First you check which voltage your notebook needs: 16V or 19V and select the right voltage with the voltage slider. Then find the correct tip for your notebook and plug one side of the cable into the DC out port of the battery and the other side in your notebook's DC in port. Charging is just as easy. Find the correct tip for your notebook's power adaptor and plug it into the charging port of the MobiliT battery. I've been using this external battery for about two weeks now and my experiences were pretty positive. The battery gave me about 2-2.5 hours of extra battery life while I was working and surfing the web with WiFi activated and the screen on max brightness. The only bad thing that I could find about this product is that you can't really see how fast you're draining the battery. With a regular (internal) notebook battery your operating system can read out how much capacity is still left and give you an estimate of how many minutes the battery is expected to last. With an external battery like the AC Ryan MobiliT that isn't the case. The product does feature a five-level battery life indicator but that only gives you a rough idea of how much battery life you have left. So overall the MobiliT external notebook battery is a quite good product. It's easy to use, compatible with most notebooks available on the market and one of the extras I really like is the USB charging port. During testing I also noticed the battery didn't ran too hot, the surface of the unit always remained fairly cool. In Europe the MobiliT notebook battery can be found for about 140-150EUR, in the U.S. it's selling for about $129.95. Not really cheap but it's about 35EUR cheaper than what Dell is asking for a new 9-cell battery for the Inspiron 6000 that I used in this review. - You can't really see how fast your notebook is draining the battery. 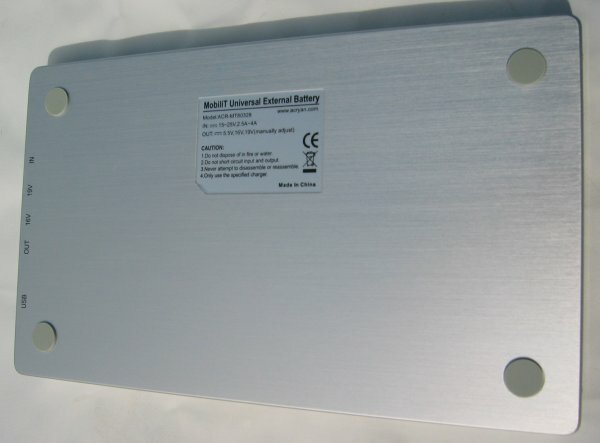 I give the AC Ryan MobiliT external notebook battery a 9/10. I have one of these and for the most part it works well, and you can charge the battery and a laptop at the same time. One problem I had is I only took the one connected for my laptop I needed when I went overseas, but it would not charge properly unless I jiggled it the right way. Also, my major complaint is that the USB port does not charge anything, I just got a new iphone 3gs and I cannot charge it with this battery. I don't know if my device is faulty or if this is a common issue. is there any way to get a hold on extra connection tips? one of the tips (ofcourse the one I need) doesn't work. I bought it for $175, so far using it not bad, can sustain for about 5 hours for my Dell laptop. Does this universal 8-12 hour battery work on any of the Dell Laptops? Or are compatible on any of the Dell Laptops? The packaging of this battery on Singapore shelfs indicate capacity as 6600mAH (66WH), while the packaging of the battery used in the review showed 6600mAH (105WH). As the Part Numbers are identical, what would be the reason for this difference? Does A.C.Ryan produce two different models of this battery for different retail markets? In addition, between mAH and WH, which would be the more accurate measure of capacity? Consumer AA batteries have long used mAH to rate capacity, but it seems most of the notebook external batteries (both branded and non-branded) are using WH as the primary measurement, with mAH appearing alongside only on certain models/brands. Lastly, can a notebook with a specified input of 19V run on this battery with its switch set to 16V? If it does run, would it cause any damage to the battery or notebook? Does doing this prolong the running time on the battery on a single charge? Guidance on the above questions will be much appreciated, thank you very much! 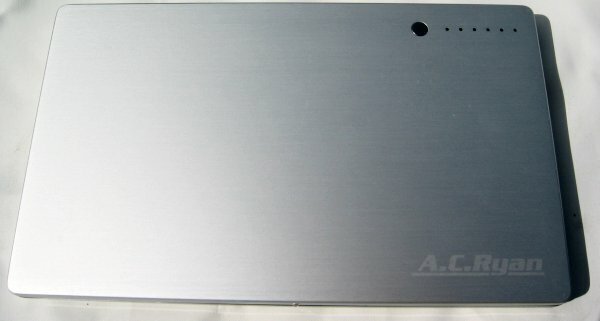 how to know if my laptop is compatible with this external battery ? it's a Fujitsu Siemens Amilo M1425 laptop. Yes, recharging and using the battery at the same time is no problem. 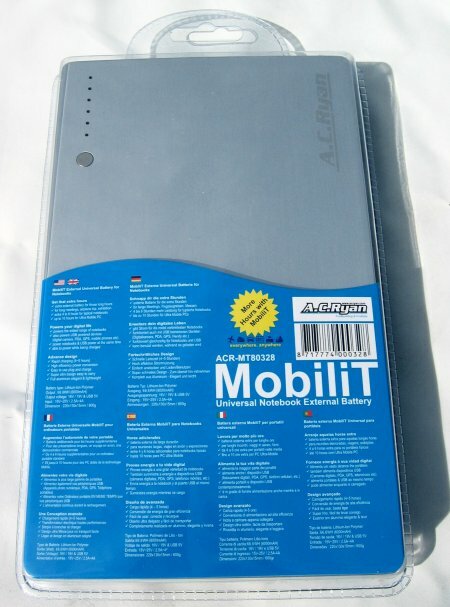 Can you recharge the MobiliT and use it at the same time (like you can with a notebook)? I'll add some more pricing info to the review. In Europe it's about 140-150EUR, in the U.S. I found a shop that's selling it for $129.95.